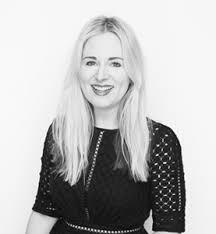 In this week’s show I chat to Clare Press, who I’ve loved following online with her brilliant podcast “Wardrobe Crisis” and in her book by the same name. 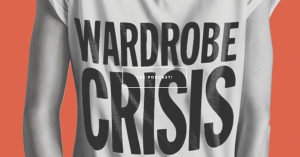 This week we chat about the fact that our biggest crisis in our wardrobe is overconsumption, as wells how to not feel that we need to give up on fashion altogether. We talk microfibre, organic vs conventional cotton, apps that inspire us to investigate brands before buying and so much more. 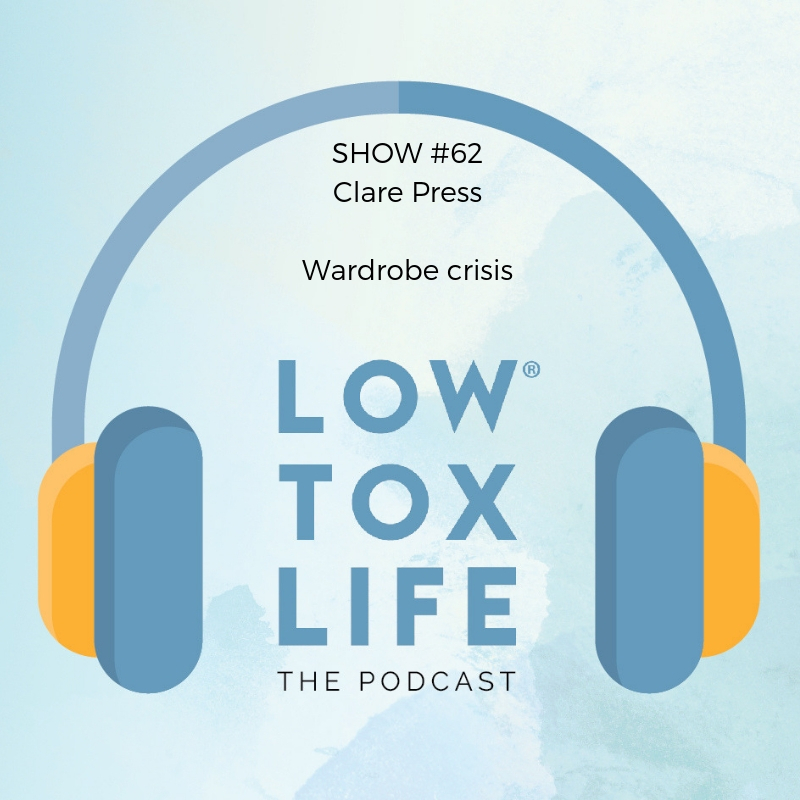 If you’ve been interested in the topic of helping your wardrobe go low tox along with the rest of your house, it’s a must listen – and a lot of fun along the way! Enjoy the show! The biggest crisis in our wardrobe today is over-consumption: we’re buying more clothes than ever before. The average woman wears an item of clothing between 4 and 7 times before getting rid of it and most of the time it ends up in landfill. Most of the items given away to charity shops cannot be sold so instead of throwing them you can recycle them into rags to use around the house to prolong their lives. We don’t need to give up fashion altogether, we just need to become more conscious about what we buy and how it’s been made. There are lots of great labels out there producing clothes sustainably, using organic cotton, and using ethical standards. You can also explore options such as buying from op shops, swapping clothes with a friend, renting clothes for a special occasion instead of purchasing something new, etc. Conventional cotton production is very thirsty and 25% of the world’s pesticides are used in the growing of cotton crops. We need to dig deeper to understand how fibres are made. Just because something is “natural” doesn’t mean that it is healthy or good, or chemical free. 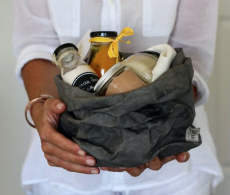 Organic cotton is something we should all be moving towards. As demand increases, companies will be changing their ways and embracing organic cotton more. Downloading the Good On You or Project Just apps for free onto your phone is a good way to find out how ethical certain brands are and provide insights into which brands are embracing sustainability into their production lines. If you’re looking for something specific such as swimwear for example, try to spend some time doing a bit of research beforehand so you can make the most informed decision and feel empowered about your choices. Microfibres found in cheap acrylic clothes (think fleece jumper) or polyester clothes end up in our waterways through washing. Underwear is also a watch out – it is mostly laden with chemicals. It’s the closest piece of clothing to our skin and our skin being our largest organ, it’s worth doing some research before buying a new bra. Fashion has the ability to make us feel great about ourselves but let’s make sure that it has been produced in a respectable and sustainable manner so we can feel proud about what we’re wearing. Some questions to keep top of mind: where does it come from? How is it made? Do I need it? 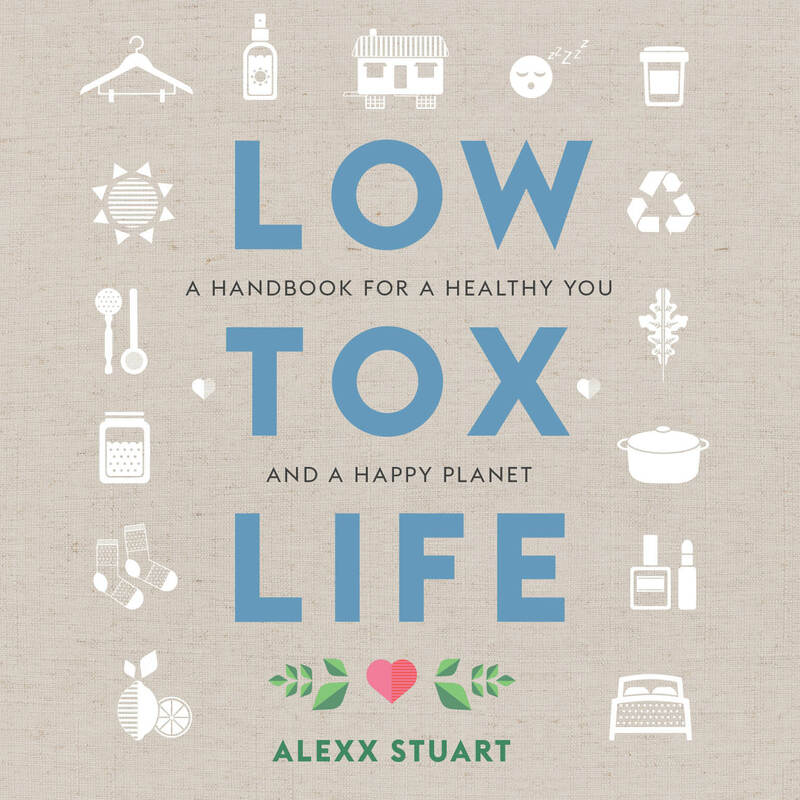 And our podcast challenge as inspired by Clare is to go to your local supermarket and log a formal complaint with the manager about something related to plastic wrapping or the use of plastic bags! 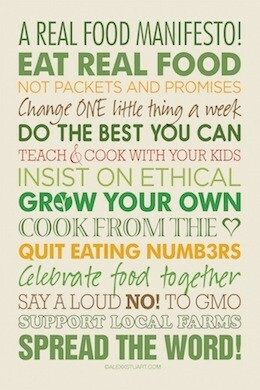 Here’s to initiating change! Hi Alexx, for some reason I didn’t think the comment would post publicly (I didn’t see any other comments). Can you please remove my address? Thanks!! !